EEG Expert increases therapy quality with easy-to-use rapid testing in the mental health disciplines. 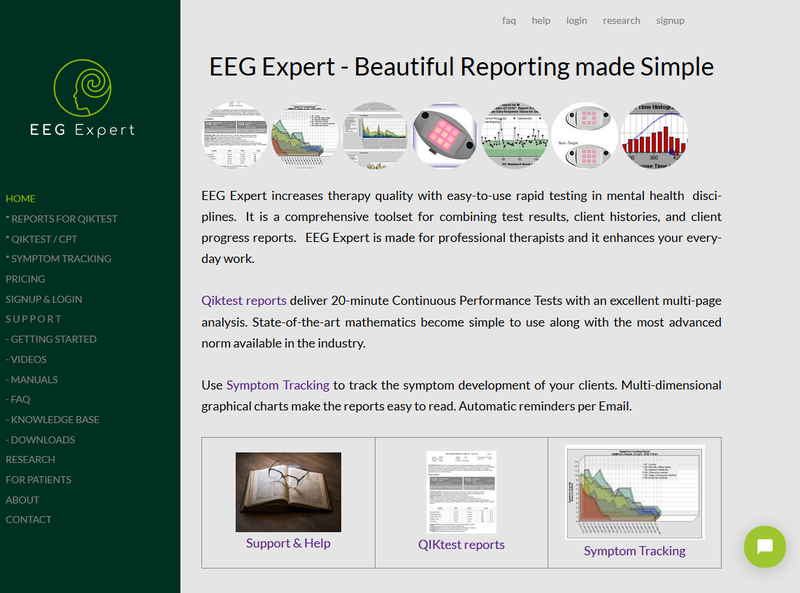 ← To access your account and reports with EEG Expert, login in as usual. We've added interpolation to the calculation of scores, leading to a more accurate representation. Existing scores will typically change in the range of 0-2 points. Scores are now calculated as interpolated values based on the decimal of age between adjacent age slots of the norm, and also as interpolated values between the bin boxes used for the raw values.